You need to move fast when media planning. That’s because you’re expected to create elaborate media plans under tight deadlines. Your media planning tools can’t be slowing you down! Every line of your media plan contains dozens of calculations. When you make a change, these all need to be recalculated. It’s nice when your media planning software does all this tedious math for you automatically. However, it’s not so nice if it slows you down. Bionic used to do all these media plan calculations in the cloud. Although the math was right, it wasn’t fast enough. This problem wasn’t because the cloud servers are slow – the actual calculations only took a small fraction of a second. The lag occurred because the round trip from your browser up to the cloud and back down to your browser resulted in a delay of a second or two (even more if you were on a slow network). This may not sound like much, but it adds up to a frustrating experience when you string together a bunch of these delays. We realized we had to eliminate the round trip to the cloud to achieve the speed you need. To do that, we had to make a big change in the way the software does its math. We had to move all the media plan calculations from the cloud to your browser. This required a big rewrite of the media plan section of the software. It was worth the effort. You will notice a huge boost in speed the next time you work on a media plan In Bionic. You will love the snappiness as you move from field to field. With the latest upgrade, calculations appear instantly in response to any change. No more cloud lag. The result is a buttery smooth media planning experience. We ran a speed test to compare the performance before and after the software upgrade. The results are impressive: updates that used to take 2.0 seconds now take 0.1 second. In other words, the software is 20 times faster. To put this into perspective, it takes about 0.15 second for you to blink your eye. 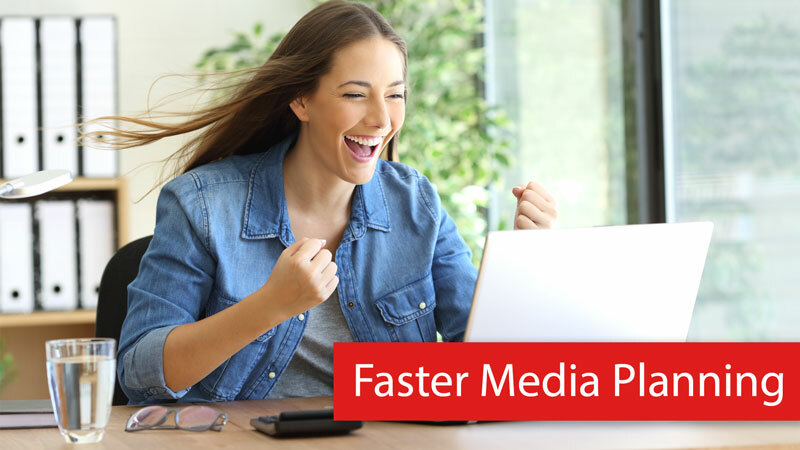 So, updates to your media plan now happen faster than a blink of an eye. If you’re already using Bionic, you’re going to notice the speed improvements the next time you work on a media plan. Your software has already been upgraded for free as part of your subscription. Please contact your client success manager if you have any questions.